Everyone be warned! Scammers are now trying to cheat people with the Alliance Bank and CIMB phone scam! Our friend, Dashken Chan, personally experienced it. He shared his experience (and voice recording) with us to help warn everyone about this phone scam. Please share this out to help save other people from being scammed! Don’t forget to check out our coverage of the Maybank Personal Loan Scam too! Just received call from “Alliance Bank” +60320643333. Knows my name and ic number. When I asked for my address, he said Pulau Pinang. I asked him whether it’s a scam, he said it’s notification that I haven’t been paying my loan for 3 months. When I raised my voice and asked for my address again, at least the name of my neighbourhood. He felt uneasy and shot back why I was raising my voice and that he doesn’t have to be spoken that way, etc. And hung up… ? ? ? He also shared that he was in a hurry to work. Or else he would have played along with the scammer, instead of calling him out as a scammer so soon. Wasting the scammer’s time is a great way to reduce the opportunities they have to find their victims. The other way – sharing this article, so more people are aware of these scams! 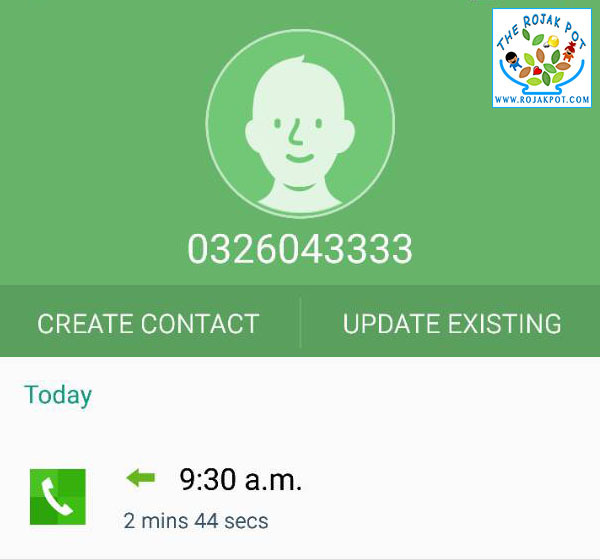 Dashken shared a screenshot of the call, which lasted just under 3 minutes, because the scammer got fed up and hung up. After that call ended, he tried calling the number, and found that it was the actual Alliance Bank customer service number. After the call, I called up the number and was received by the auto answering machine of alliance bank. So, I checked the phone number on Google and found it’s listed on alliance bank website as the customer service number. I called again and talked to the customer service, told them the story, etc. And requested to check whether I have any savings or loan account with them. He asked for my ic number and checked. Nothing came up. ? It is obvious that they were using VOIP calls, allowing them to spoof the Caller ID with ease. Even so, the telco can trace the real origin of the call. That would require a warrant from the police. We hope the PDRM will look into the matter and try tracing the call. Today morning , I received a Tel call . He confirms my name. This person claiming that he is from Mahkamah Johor (Johor Court) that I had CIMB credit card huge outstanding and all my others bank account frozen by the court as file by CIMB. He told me CIMB already ask the court issue warrant of arrest to catch me. Firstly, I didn’t own any CIMB credit card and CIMB bank account. Guarantee is a scammer call. This conversation last for 10 second conversation, I remain quiet listening and didn’t speak at all. Because I am afraid they copied by voice call. Upon suspicious and i knew he is a scammer , I told him u called wrong Tel no and wrong person too. And immediately disconnected the line. The scammer Tel is 072212022. Friends, be Careful to this Tel no contact. And choose to answer unknown call cautiously. Don’t hang on the line too long as they might steal yr memory and data informations. Again, the telephone number is most likely a spoofed number. So there is no use in trying to call it back. Just be wary of such calls… and NEVER call them back. Always look up the bank’s actual contact number and call them directly. Previous : Watch Out For The Maybank Personal Loan Scam!